Vocational training programs are helping women who want to enter the industry, and HVAC/R scholarships for women can help make school more affordable. 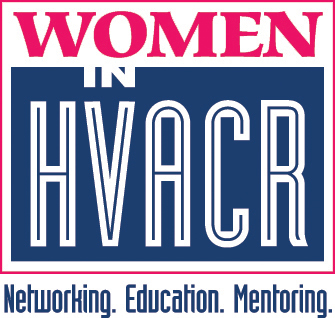 Women in HVACR is an organization that was created to help women enter the HVACR industry. They offer education, mentoring, networking, and scholarships. 2 WHVACR offers one $2,000 scholarship for female high school seniors or older women attending an HVAC/R vocational school. Answer five questions in a 500-word essay. The Dwyer Group is the holding company for 11 franchise businesses that offer a variety of HVAC/R services, including installation, maintenance, and repair. 4 In order to help women enter the household repair trades, including HVAC/R, the group offers a total of six $1,500 scholarships twice a year. Preferably one year in the field or who current training in fields like HVAC/R, plumbing and other household-related trade services. Financial need, a passion for the trade, and previous work experience can improve your chances of getting the scholarship. If you work for a competitor of Dwyer, you can’t apply. Submit a 500- to 1,000-word essay or a video essay about how the scholarship award would help you reach your educational and professional goals. Scholarships can be applied for twice a year, once on March 31 and another time on September 30. If you apply at both times, you’ll need to fill out separate applications. You can complete an online application at http://www.dwyergroup.com/women-in-trades.asp. 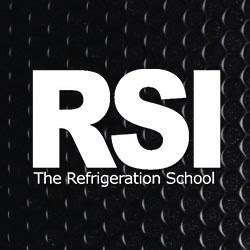 The Refrigeration School (RSI) offers HVAC/R programs in refrigeration technologies, electrical technologies, electro-mechanical technologies, and mechanical maintenance engineering. Our Women in Skilled Trades Scholarship Program awards scholarships of up to $3,000 to women who can show that they have a financial need. You must be enrolled in an RSI program. If you miss registration or classes, you may not receive this scholarship. You must be a U.S. citizen or a full-time resident. You must apply for and accept federal, state, and agency financial aid, and still show that you have a financial need. The Women in Skilled Trades Scholarship program is based on the start date of the RSI program you attend. Contact The Refrigeration School for more information. RSI offers several other scholarships for men and women based on their background and financial need. After you find scholarships you may qualify for, the next step is to write a shining scholarship application. Before you start writing, take some time to learn about your potential readers and think about how best to present your unique story to them. Lastly, don’t be afraid to ask for help. A different point of view or a fresh set of eyes may be just what you need. Good luck!